Despite the areas of difference and the rivalries between Moscow and Tehran, Russian and Iranian ties are increasing. Both Russia and Iran share many commonalities. They are both major energy exporters, have deeply seated interests in the South Caucasus, oppose NATO’s missile shield, and want to keep the U.S. and E.U. from controlling the energy corridors around the Caspian Sea Basin. Moscow and Tehran also share many of the same allies, from Armenia, Tajikistan, and Belarus to Syria and Venezuela. Yet, above all things, both republics are also two of Washington’s main geo-strategic targets. With the inclusion of the Chinese, the Russian Federation and Iran are widely considered to be allies and partners. Together the Russia Federation, the People’s Republic of China, and the Islamic Republic of Iran form a barrier against the United States. The three form this through a triple alliance that is the core of a Eurasian coalition resisting Washington’s encroachment into Eurasia and America’s quest for global hegemony. The Chinese primarily face U.S. encroachment from East Asia and the Pacific, the Iranians primarily face U.S. encroachment in Southwest Asia, and the Russians primarily face U.S. encroachment in Eastern Europe. All three states also face U.S. encroachment in Central Asia and are wary of the U.S. and NATO military presence in Afghanistan. Iran can be characterized as a geo-strategic pivot. The entire geo-political equation in Eurasia will change on the basis of Iran’s political orbit. Should Iran ally with the United States and become hostile to Beijing and Moscow, it could seriously destabilize Russia and China and wreak havoc on both nations. This would be due to its ethno-cultural, linguistic, economic, religious, and geo-political links to the Caucasus and Central Asia. Iran could also become the greatest conduit for U.S. influence and expansion in the Caucasus and Central Asia, because Iran is the gateway to Russia’s soft southern underbelly (or “Near Abroad”) in the Caucasus and Central Asia. In such a scenario, Russia as an energy corridor would effectively be upset and challenged as Washington would unlock Iran’s potential as the primal energy corridor for the Caspian Sea Basin and advocate for Iranian pipelines. Part of Russia’s success as an energy transit route has been due to American efforts to weaken Iran by preventing energy from transiting through Iranian territory. If Iran changed camps, the Chinese economy and China’s national security would also be held hostage on two counts. Chinese energy security would be threatened directly because Iranian energy reserves would no longer be secure and subject to U.S. geo-political interests. Additionally, Central Asia could also re-orient its orbit should Washington open a direct and enforced conduit from the open seas via Iran. Thus, both Russia and China want a strategic alliance with Iran as a means of screening them from the geo-political encroachment of Washington. “Fortress Eurasia” would be left exposed without Iran. This is why neither Russia nor China could ever accept a war against Iran. Should Washington transform Iran into a client then Russia and China would be under threat. There is a major misreading of past Russian and Chinese support of U.N. sanctions against Iran. Even though Beijing and Moscow allowed U.N. Security Council sanctions to be passed against their Iranian ally, they did it for strategic reasons that intended to keep Iran outside of Washington’s orbit. In reality, the United States would much rather co-opt Tehran as a satellite or junior partner than take the unnecessary risk and gamble of an all-out war with the Iranians. What Russian and Chinese support for past sanctions did is allow for a wider rift to emerge between Iran and Washington. In this regard realpolitik is at work. As American-Iranian tensions broaden, Iranian relations with Russia and China become closer and Iran becomes more and more entrenched in its camp with Moscow and Beijing. Russia and China would never support crippling sanctions or any form of economic embargo that would threaten Iranian national security. This is why both China and Russia have refused to be coerced by Washington into joining its new 2012 unilateral sanctions. The Russians have also warned the European Union to stop being Washington’s pawns, because they are hurting themselves by playing along with the schemes of the United States. In this regard Russia commented on the impractical and virtually unworkable E.U. plans for an oil embargo against Iran. Tehran has also made similar warnings and has dismissed the E.U. oil embargo as a psychological tactic that is bound to fail. In August 2011, the head o the Supreme National Security Council of Iran, Secretary-General Saaed (Said) Jalili, and the head of National Security Council of the Russian Federation, Secretary Nikolai Patrushev, meet in Tehran to speak about the Iranian nuclear energy program and bilateral cooperation. Russia wanted to help Iran rebuff the new accusations Washington was preparing to attack Iran with. Soon after Patrushev and his Russian team arrived in Tehran, the Iranian Foreign Minister, Ali Akbar Salehi, would fly to Moscow. 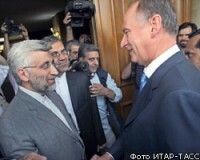 In September 2011 both Jalili and Patrushev would meet again, but this time in Russia. Jalili would go to Moscow first and then cross the Urals to the Russian city of Yekaterinburg. The Yekaterinburg meeting between the two took place at the sidelines of an international security summit and was important because it was announced that both the highest bodies of national security in Moscow and Tehran would coordinate henceforth by holding regular meetings and a protocol was signed by both men in support of this. At Yekaterinburg, both Jalili and Patrushev would also hold meetings with their Chinese counter-part, Meng Jianzhu. The outcome of one meeting would be that Jalili and Jianzhu would call for similar steps to be taken by the national security councils of Iran and China. They would also make Chinese and Iranian calls for the establishment of a supranational security council within the Shanghai Cooperation Council to confront joint threats faced by Beijing, Tehran, Moscow, and the rest of the Eurasian organization. 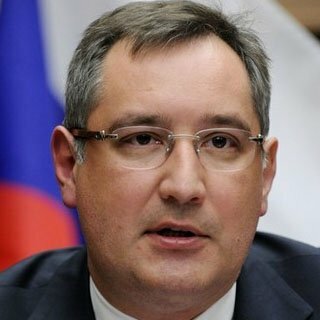 Also in September 2011, Dmitry Rogozin, the Russian envy to NATO, announced that he would be visiting Tehran in the near future to speak about the NATO missile shield project, which both the Kremlin and Iran oppose Reports claiming that Russia, Iran, and China were planning on creating a joint missile shield would quickly start to surface. Rogozin, who had warned in August 2011 that Syria and Yemen would be attacked as stepping stones to confront Tehran, would respond to the reports by publicly refuting plans for the establishment of a joint Sino-Russo-Iranian missile shield project. The following month, in October 2011, both the foreign ministries in Russia and Iran announced that they would be expanding ties in all fields. Soon after, in November 2011, Iran and Russia signed a strategic cooperation and partnership agreement between their highest security bodies covering economics, politics, security, and intelligence ties and coordination. This was a long anticipated document that both the Russian and Iranian sides were working on for a long time. The agreement was signed in Moscow by the Deputy Secretary-General of the Supreme Security Council of Iran, Ali Bagheri (Baqeri), and the Under-Secretary of the National Security Council of Russia, Yevgeny Lukyanov. 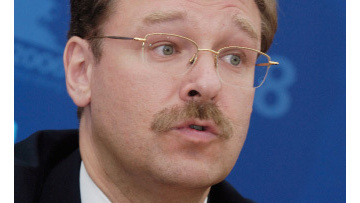 In November 2011, the head of the Committee for International Affairs in the Russian Duma, Konstantin Kosachev, also announced that Russia must do everything it can to prevent an attack on neighbouring Iran. At the end of November 2011 it was also announced again that Dmitry Rogozin would definitely visit both Tehran and Beijing in 2012. It was disclosed that Rogozin and a team of Russian officials would be going to both Iran and China to hold strategic discussions on collective strategies against common threats. On January 12, 2012, Nikolai Patrushev told Interfax he feared that a major war was coming and that Tel Aviv was pushing the U.S. to attack the Iranians. He dismissed the claims that Iran was secretly manufacturing nuclear weapons and said that for years the world had continuously heard that Iran would have an atomic bomb by next week ad nauseum. His comments would be followed by a dire warning from Dmitry Rogozin. On January 13, 2012, Rogozin, who the Kremlin announced would become a Russian deputy prime minister, declared that any attempted military intervention against Iran would be a threat to Russia’s national security. In other words, an attack on Tehran is an attack on Moscow. In 2007, Vladimir Putin essentially mentioned the same thing when he was in Tehran for a Caspian Sea summit, which resulted in George W. Bush Jr. warning that World War III could erupt over Iran. Rogozin’s statement is merely a declaration of what has been the position of Russia all along: should Iran fall, Russia would be in danger. Moreover, Iran has been making agreements with trade partners, such as China and India, under which business transactions will not take place using euros or U.S. dollars. In January 2012, both Russian and Iran also replaced the U.S. dollar with their national currencies, respectively the Russian rouble and the Iranian rial, in their bilateral trade. This is an economic and financial blow to the United States. The canceled or delayed deployment of thousands of U.S. troops to Israel for Austere Challenge 2012 was tied to ratcheting up the pressure against Syria. On the basis of a Voice of Russia report segments of the Russian media erroneously reported that Austere Challenge 2012 were going to be held in the Persian Gulf, which was mistakenly picked up by news outlets in other parts of the world. This helped highlight the Iranian link at the expense of the Syrian and Lebanese links. The deployment of U.S. troops was aimed predominately at Syria as a means of isolating and combating Iran. Speculatively, the canceled or delayed Israeli-U.S. missile exercises probably included preparations for missile and rocket attacks not only from Iran, but also from Syria, Lebanon, and the Palestinian Territories. Aside from its naval ports in Syria, Russia does not want to see Syria used to re-route the energy coordinators in the Caspian Basin and the Mediterranean Basin. If Syria should fall these routes would be resynchronized to reflect a new geo-political reality. At the expense of Iran, energy from the Persian Gulf could also be re-routed to the Mediterranean through both Lebanon and Syria in the Levant.